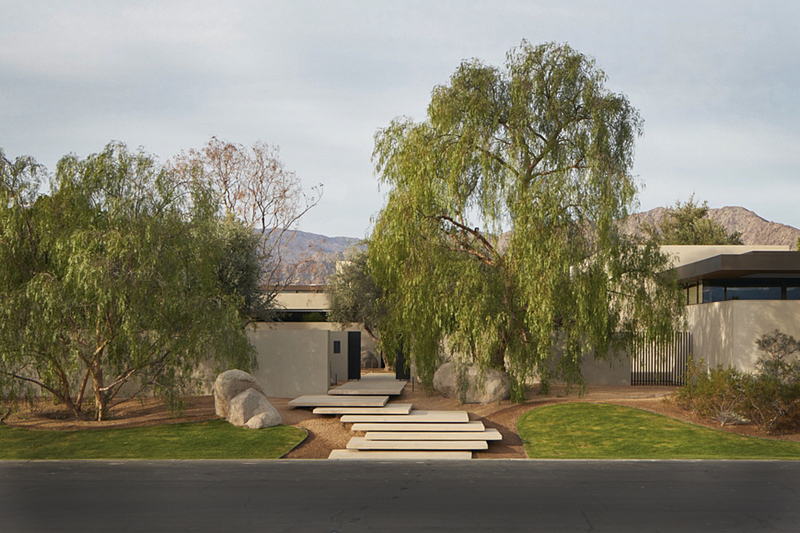 After more than 20 years of annual visits to Marfa, MADDERLAKE principals Tom Pritchard and Jody Rhone are beginning a new chapter in this remarkable town. 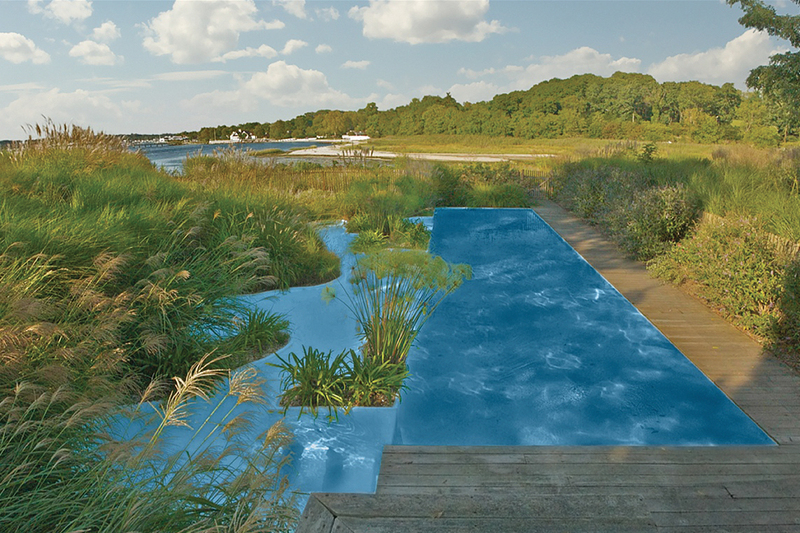 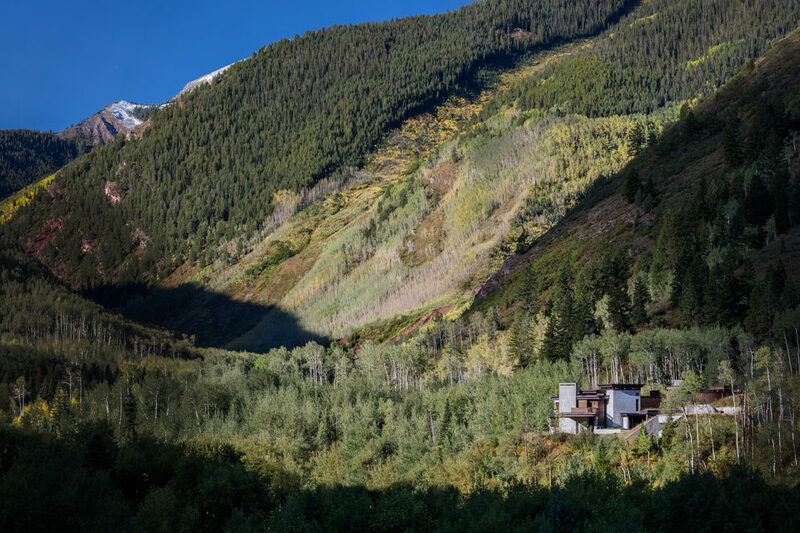 Land has been purchased and plans are evolving for a compound of buildings to be their home base and a Madderlake design laboratory. 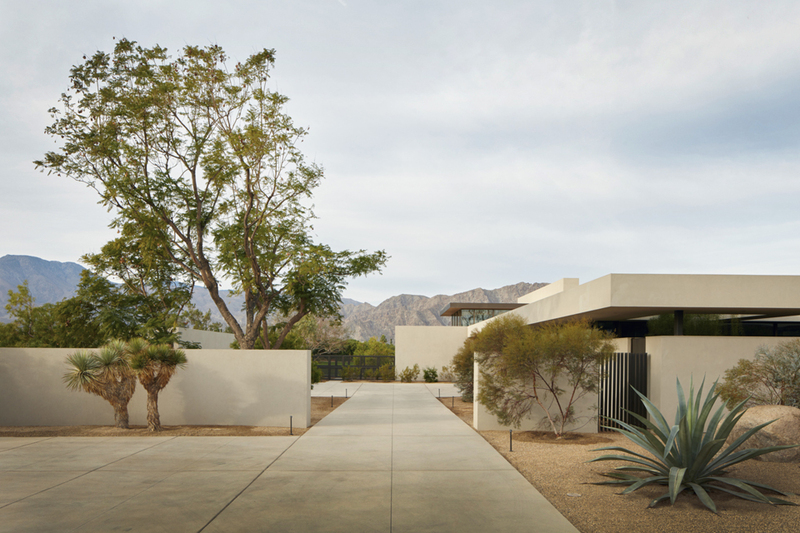 Looking forward to the challenges of designing a Marfa landscape, their recent project in La Quinta, California, has provided an invaluable testing ground for thinking about design in the desert. 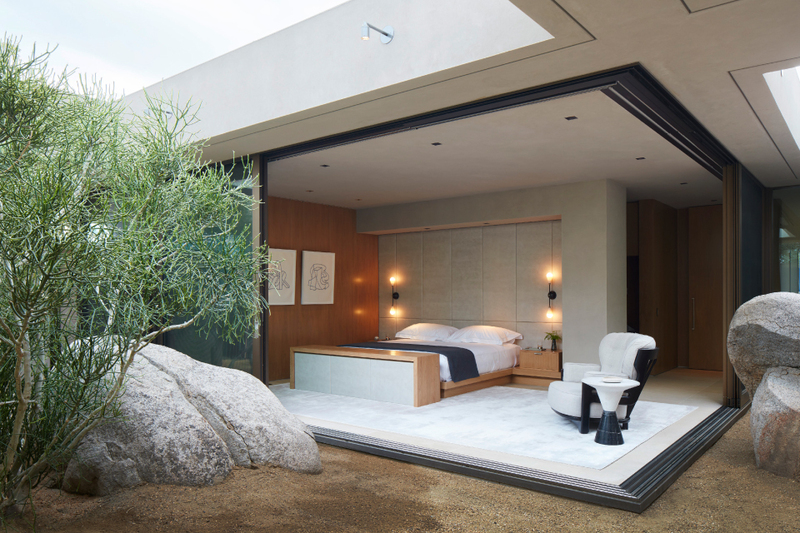 La Quinta residence: a striking landscape in the California desert for a Marmol+Radziner designed house. 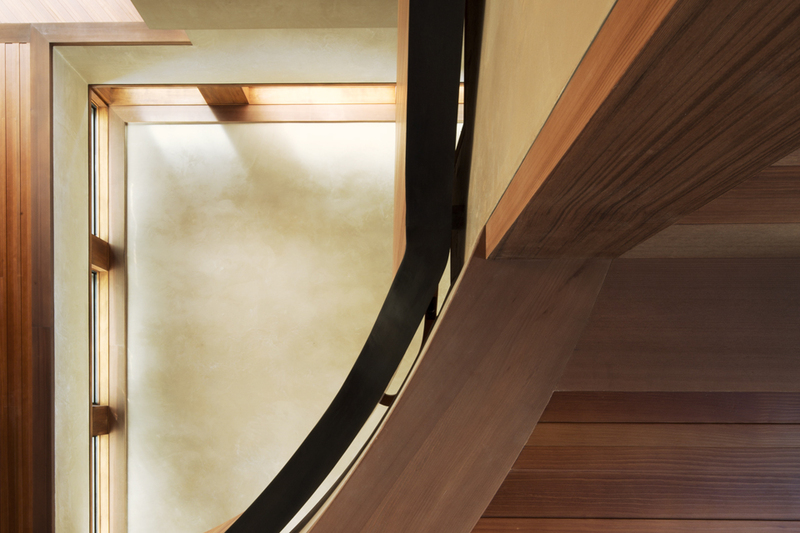 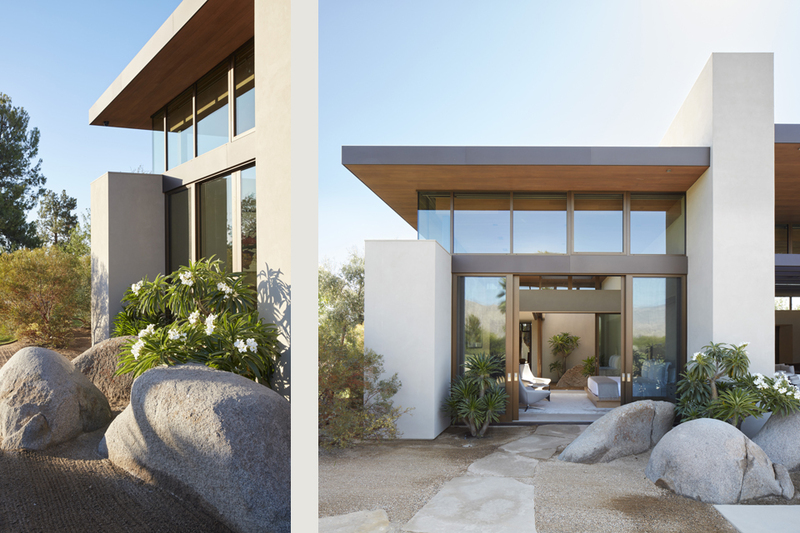 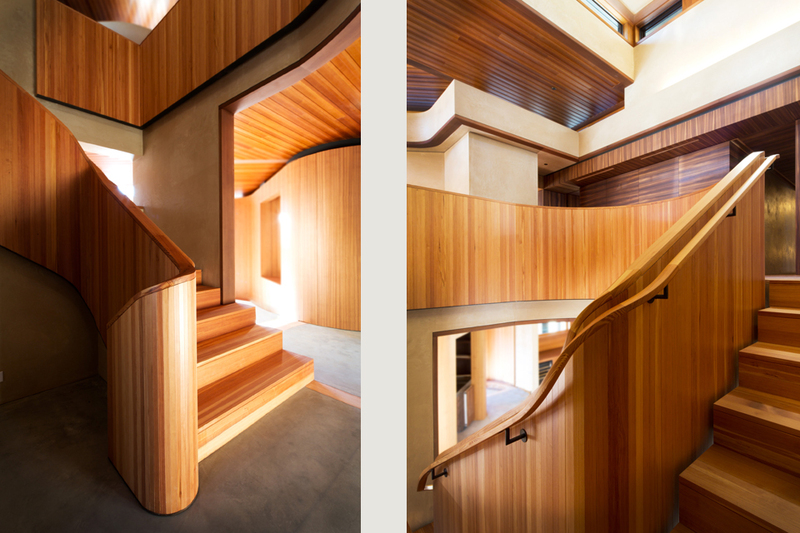 A modernist tour-de-force by Marmol + Radziner built on a spectacular site with panoramic views of the San Jacinto mountains to the west required an equally monumental landscape as a setting for the house. 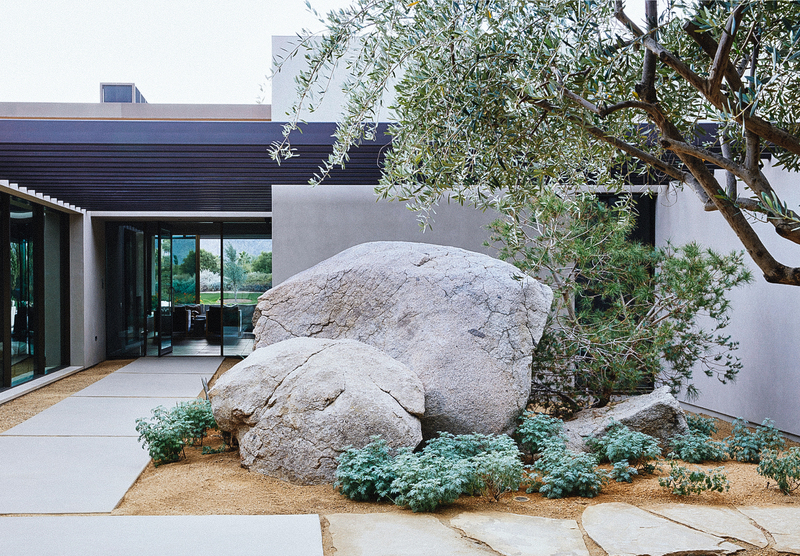 Starting with a bare site and using a palette of drought-tolerant materials—mesquite, California pepperberry, eucalyptus, vintage olives and massive granite boulders carefully extracted from fields a few hours away—the Madderlake team crafted a remarkable native landscape to perfectly contrast with the pristine lines of the house. 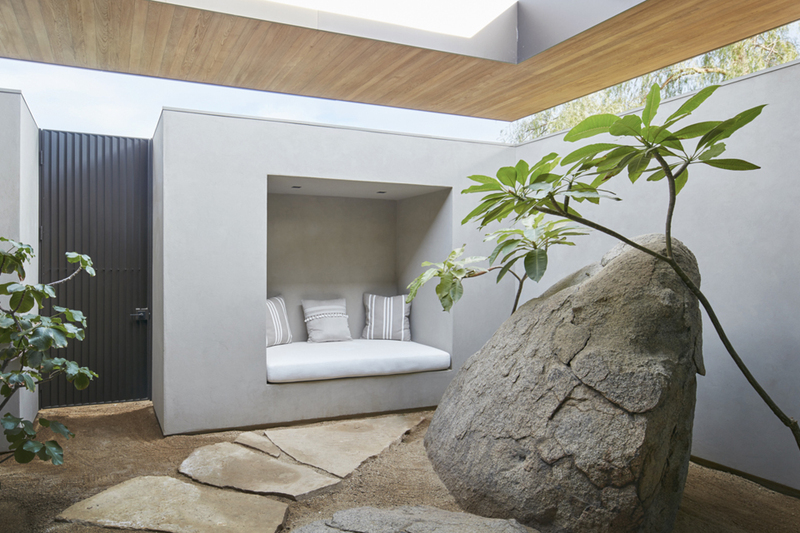 Weathered granite boulders mark the entrance to the master bedroom, then resurface in the courtyard beyond. 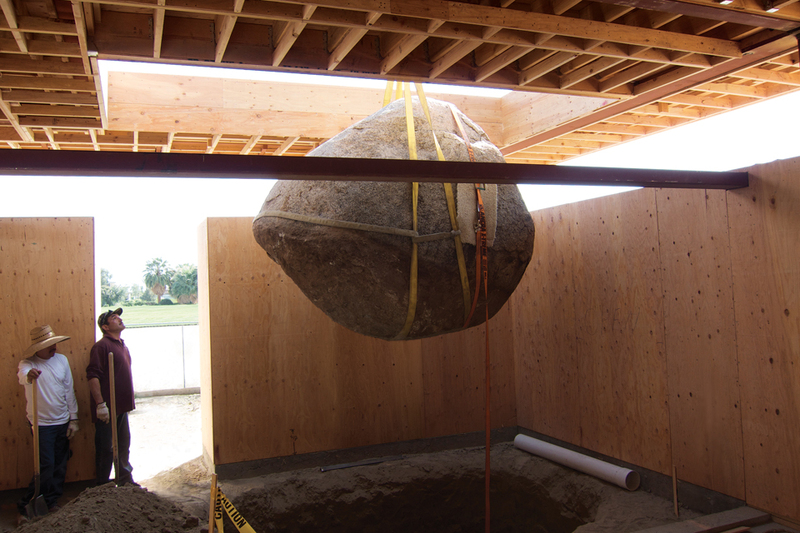 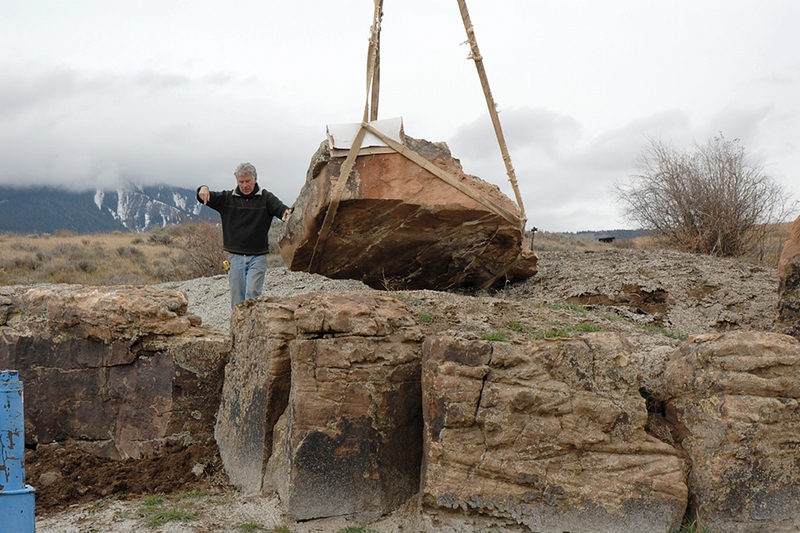 A massive boulder deconstructs along the path to the front door. 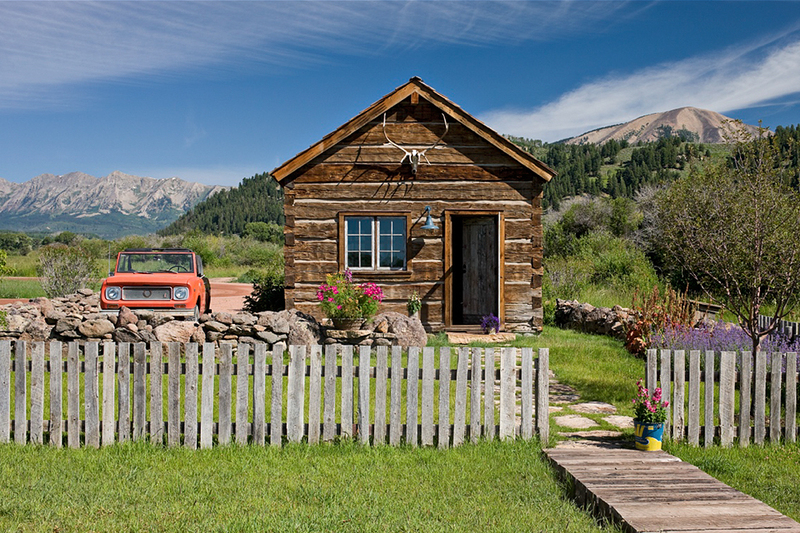 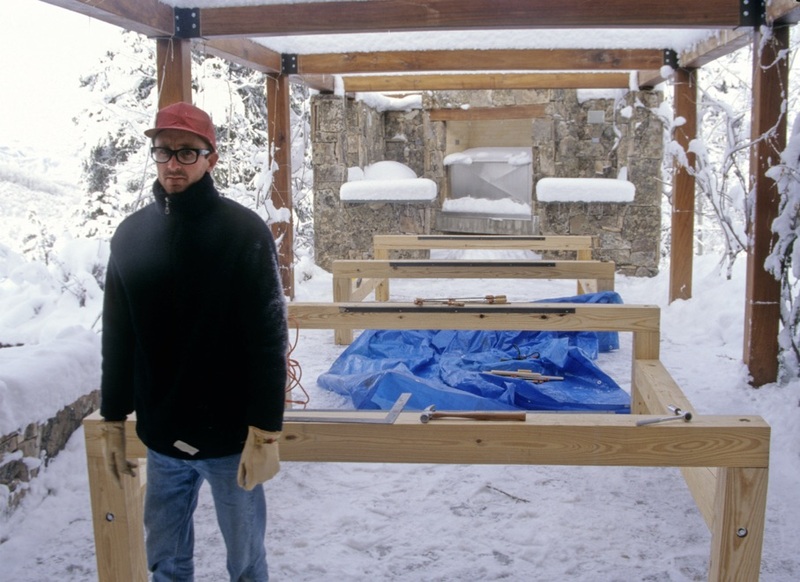 Following the summer of 1994 working with the Judd and Chinati Foundations in Marfa, we moved north to begin our first landscape project in Aspen—what would become a five year undertaking. 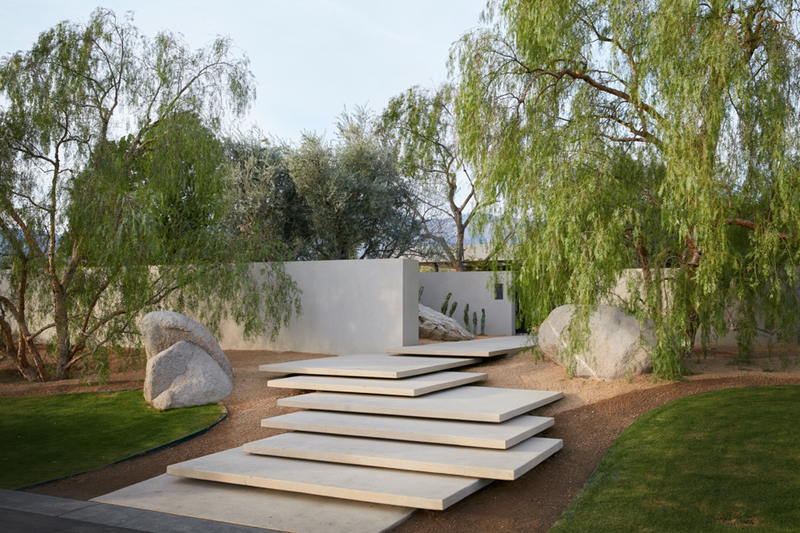 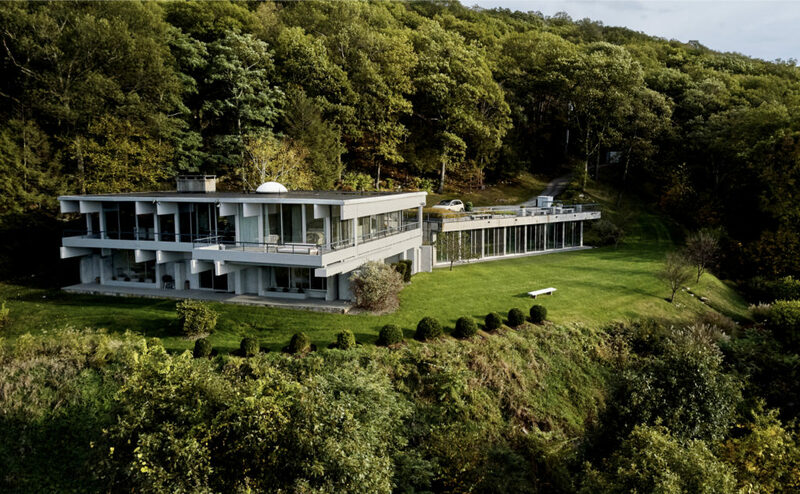 The one architectural element of the house that projected into the landscape was a massive pergola that immediately reminded us of Donald Judd’s pergola and the over-sized table he had designed for the Block in Marfa, a perfect pairing. 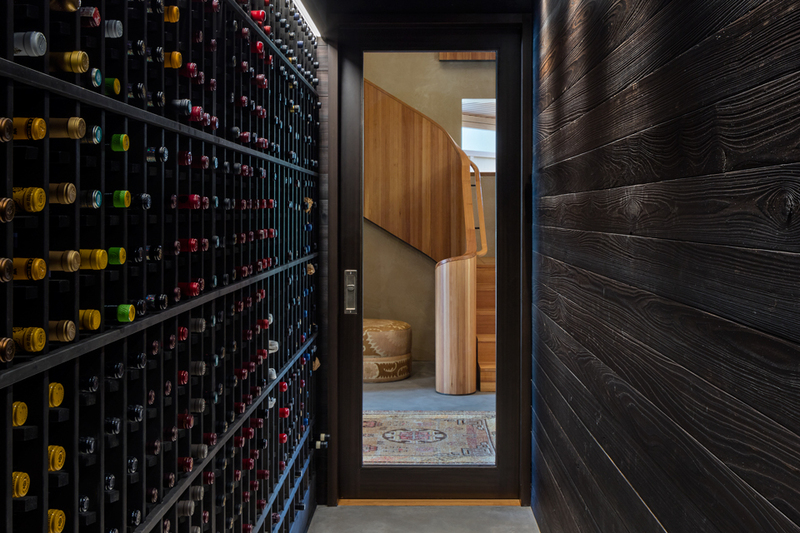 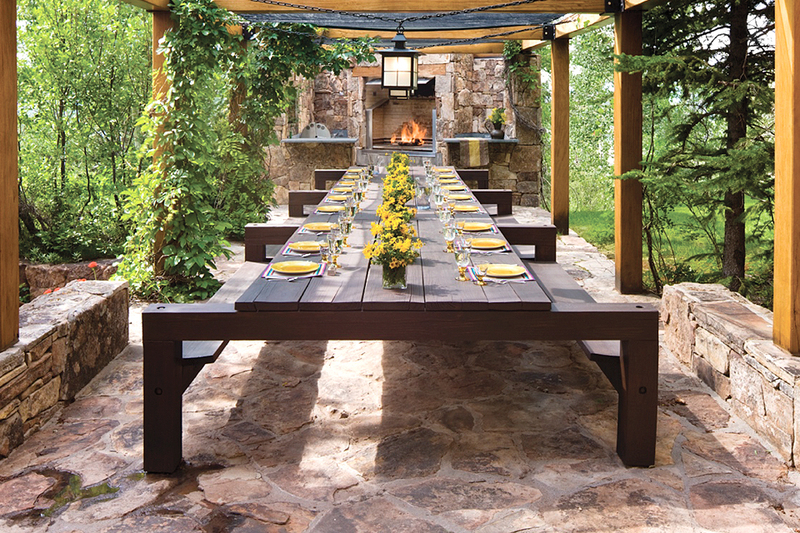 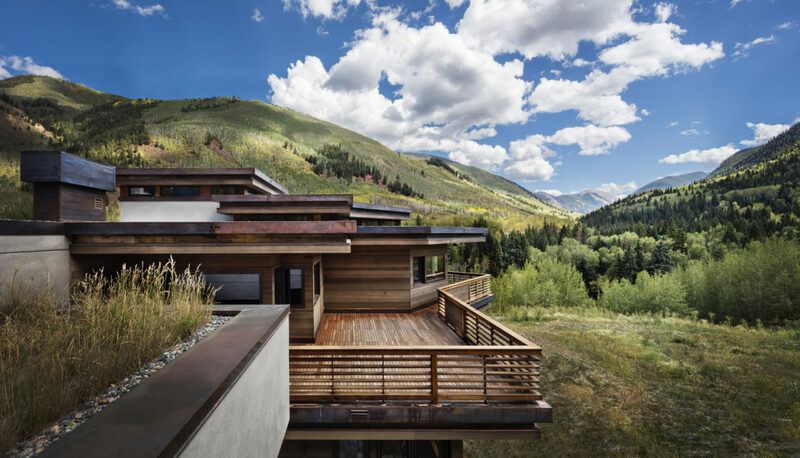 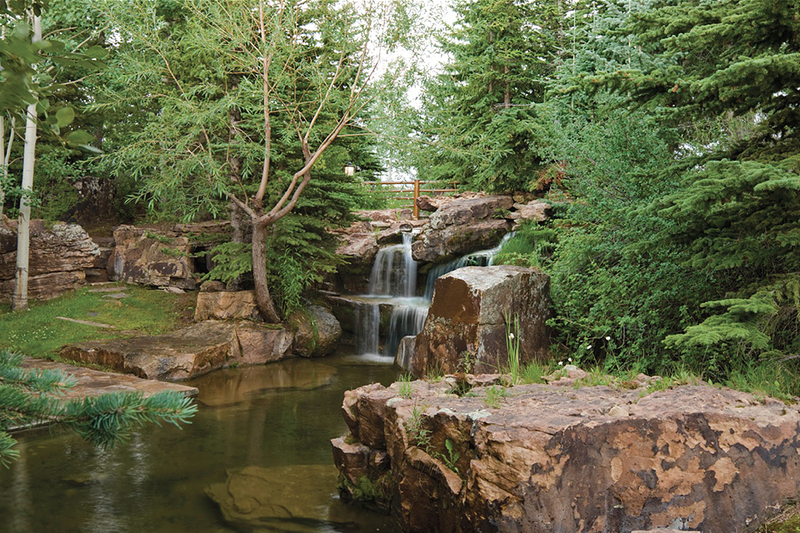 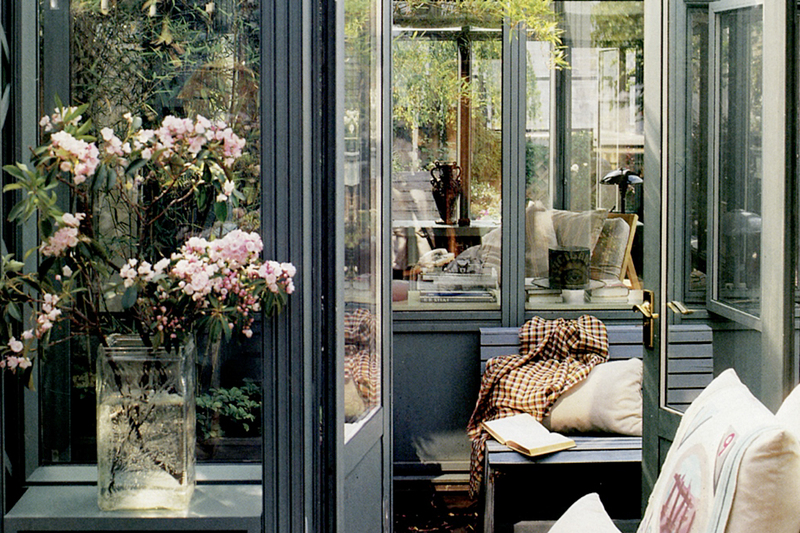 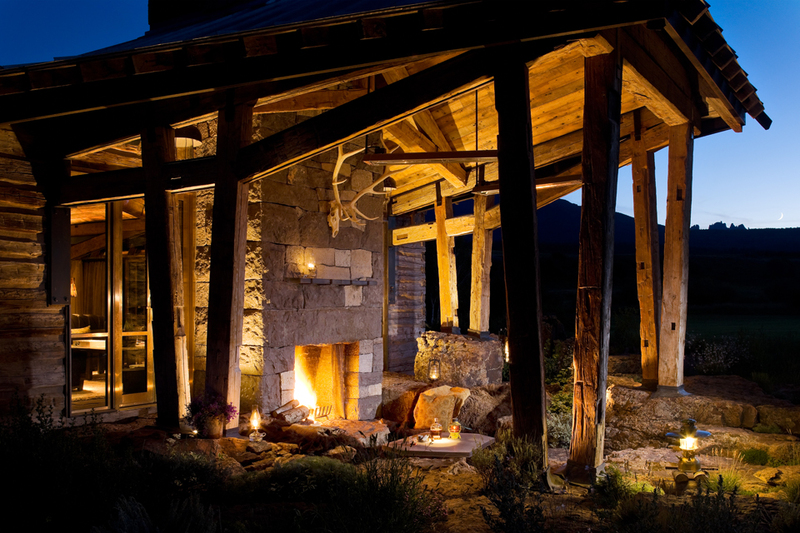 Though it had never been reproduced or offered for sale, we arranged with the estate to buy the first reproduction of the Pergola Table and Jeff Jamieson, Judd’s chosen builder came to Aspen to build and constructed it on site. 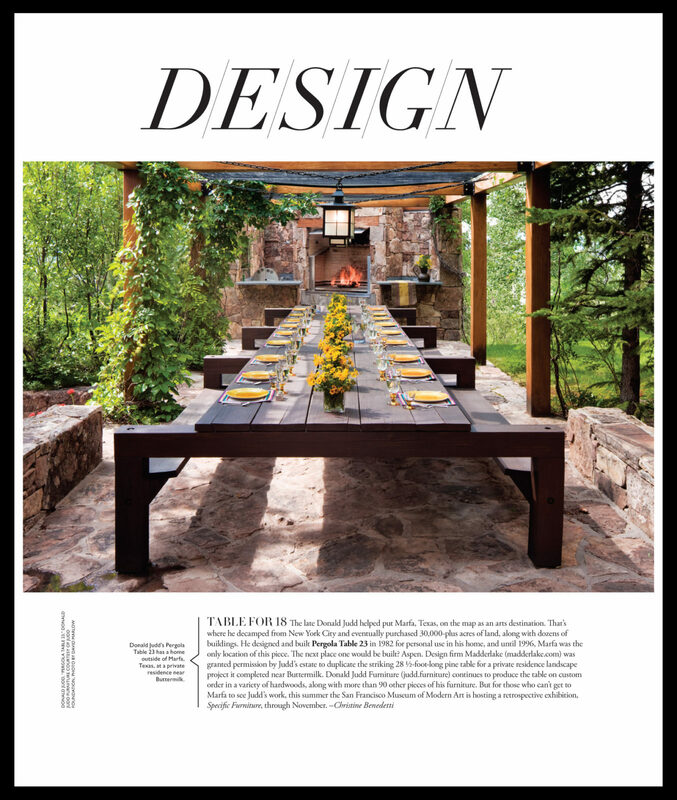 Recently, in the summer of 2018 the table was featured in ASPEN Magazine. 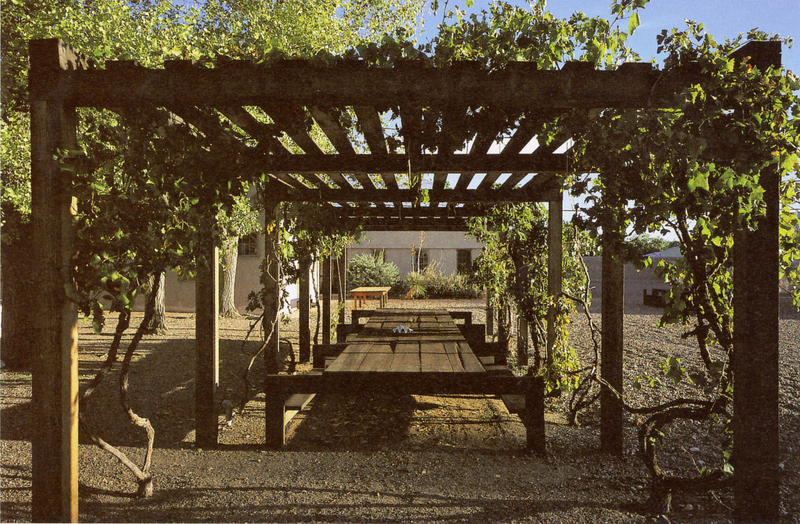 The original table at Donald Judd’s home compound in Marfa, TX. 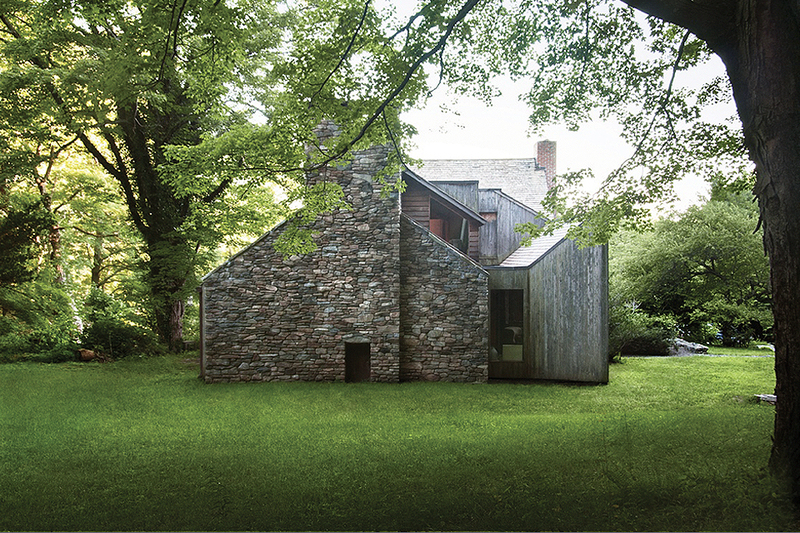 Image used courtesy of the Judd Foundation. 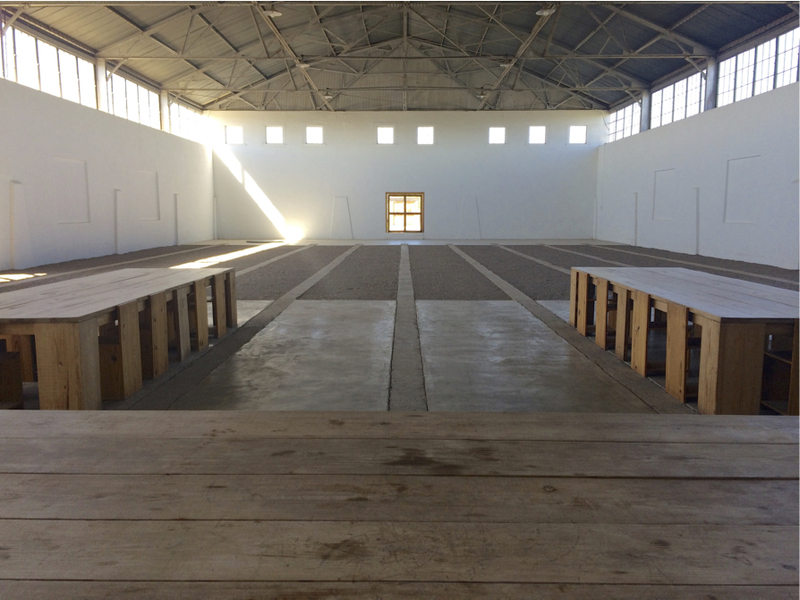 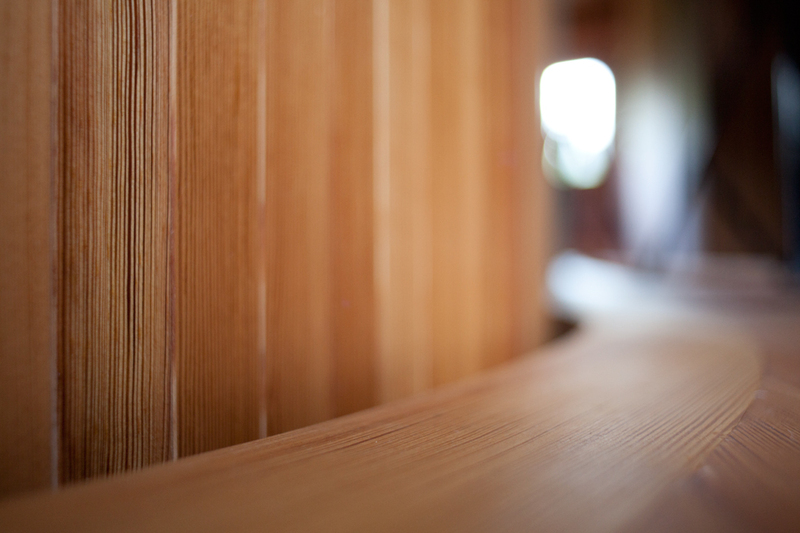 Jeff Jamieson, Donald Judd’s official furniture builder came to Marfa to construct the table on site. 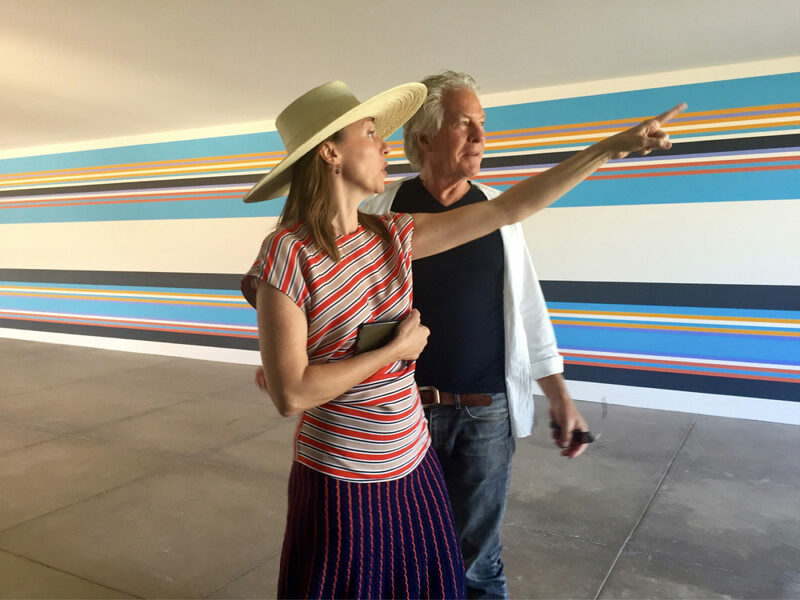 Tom Pritchard with Jenny Moore, director of the Chinati Foundation, at the recent opening of the Bridget Riley installation at Chinati. 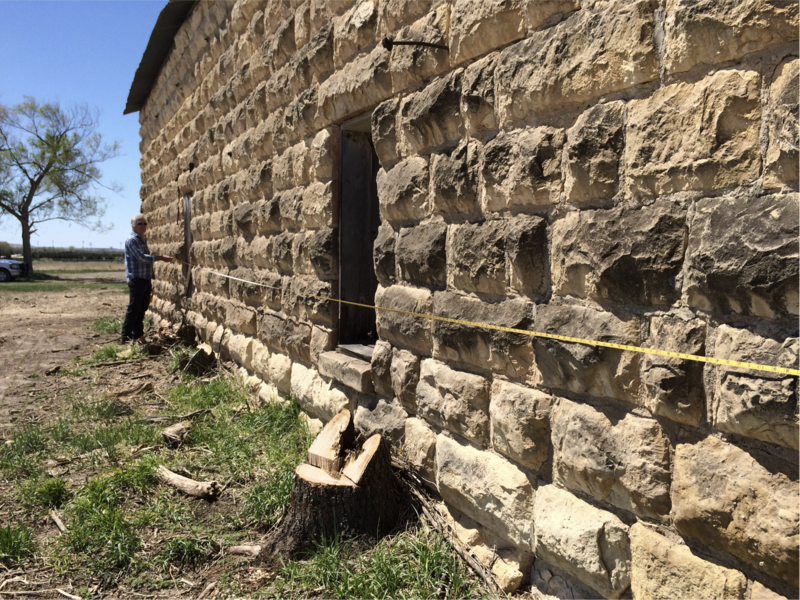 One element of the Madderlake compound will be a limestone barn salvaged and moved from Osborne, Kansas. 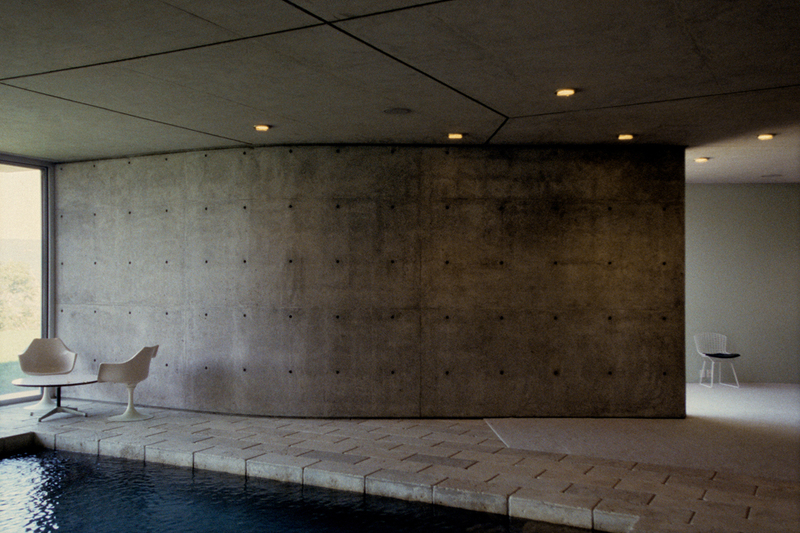 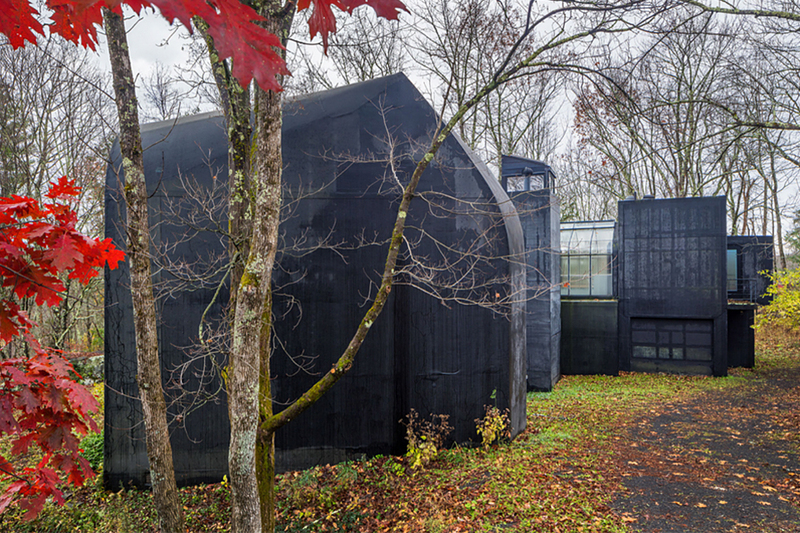 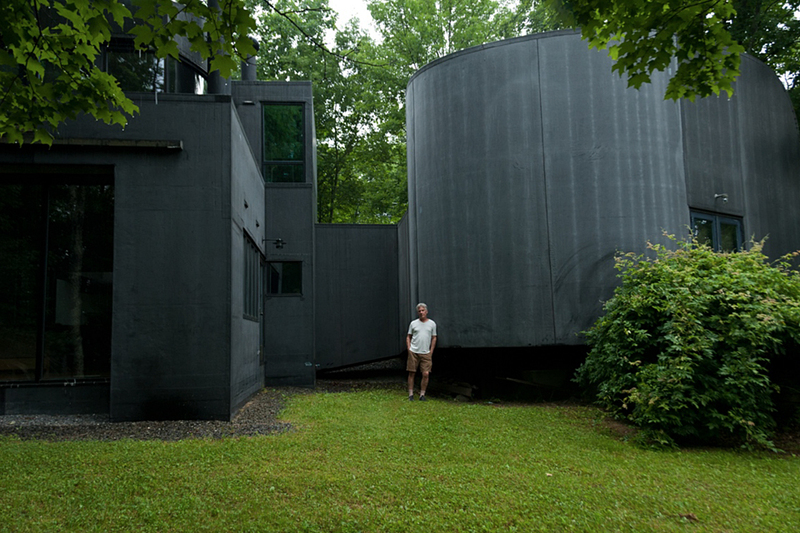 Reconstructed, It will serve as a gallery and studio, reminiscent of Judd’s ARENA building (in photo left). 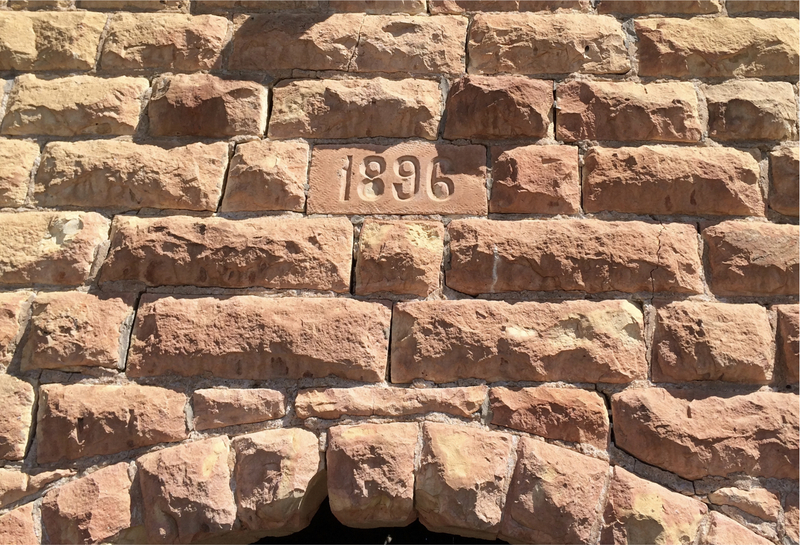 Built in 1896, the color of the limestone varies from buff, yellow and tan, to red-tinged and weathered black. 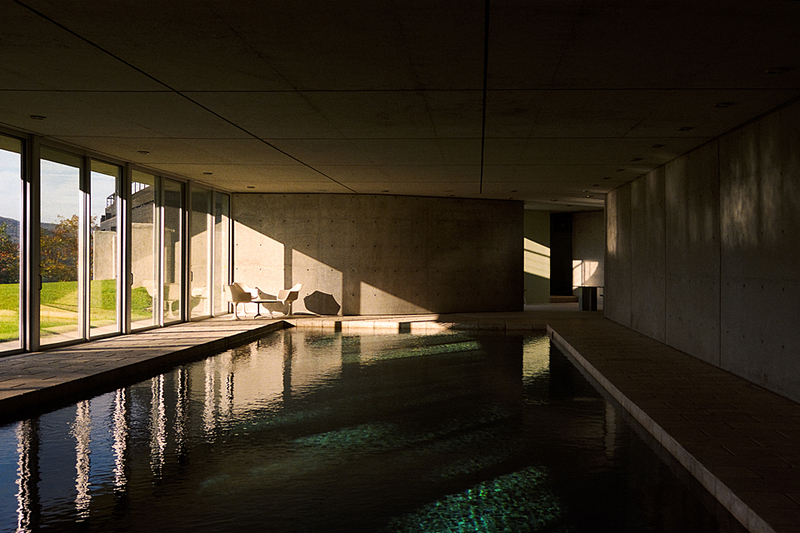 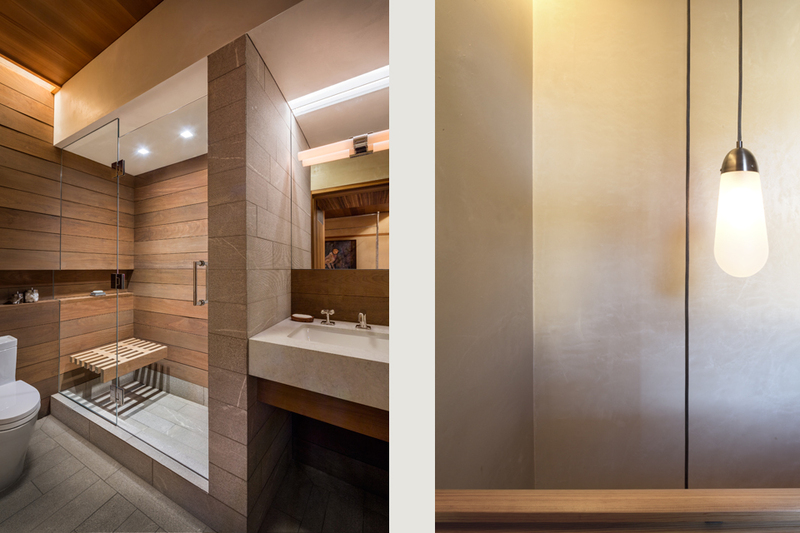 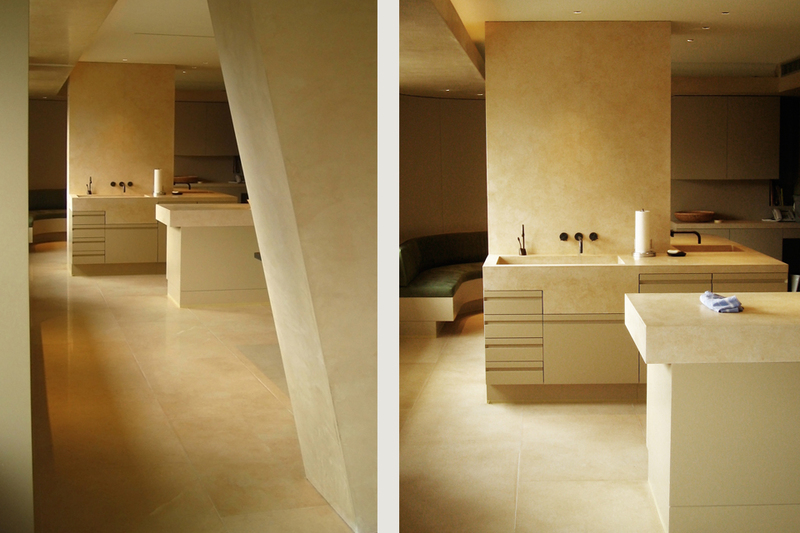 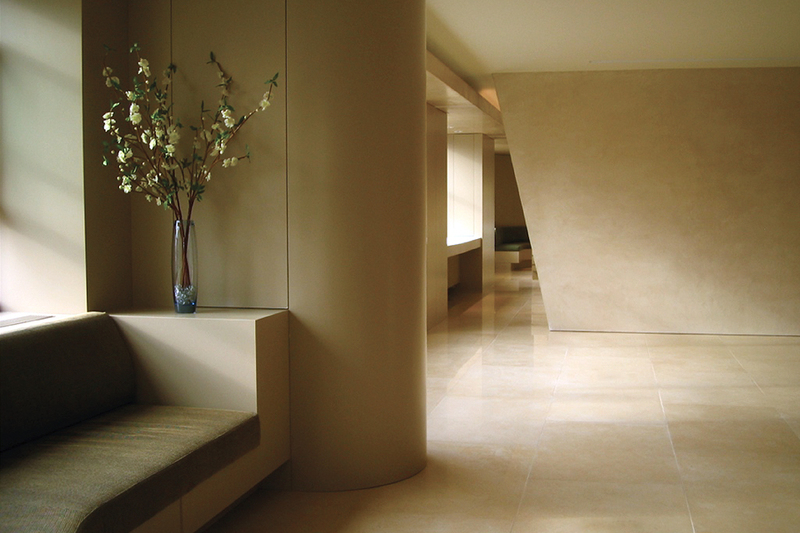 The large hand-cut limestone blocks look as if they were crafted right out of the Marfa desert.